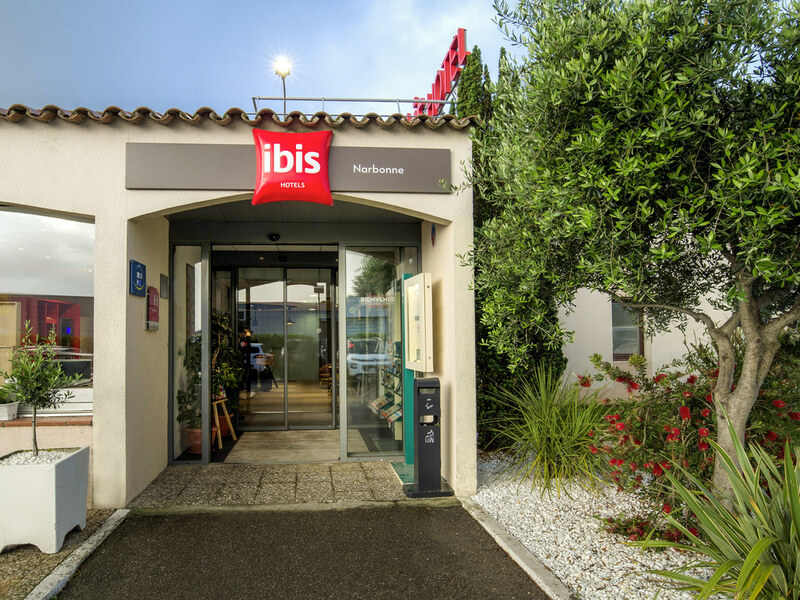 Close to the junction of the A9 and A61 highways, the ibis Narbonne hotel offers 67 rooms, including 3 for people with reduced mobility. All rooms are equipped with WIFI and air conditioning. The hotel has a La Boucherie restaurant, bar, 24-hour snack service and free car park. The Réserve Africaine in Sigean, a wildlife park in a nature reserve, is just a few miles away. Fontfroide Abbey is also near the hotel. Animals are welcome. Sigean African Reserve: wildlife park in the heart of a nature reserve, just a short walk from the Mediterranean. Terra-Vinea: wine cellars 87 yards underground, in the depths of the Corbières hills. Fontfroide Abbey: ancient Cistercian abbey. Immerse yourself in the traditional marketplace atmosphere of La Boucherie restaurant, open every day for lunch and dinner. Savor and share carefully prepared tender, juicy cuts of meat carefully prepared in a welcoming atmosphere!